Chocolates are unexpectedly good for you and it’s very satisfying, if you ask me. When chocolate spreads were invented, I thought that, whoever is the creator of that idea, he must have been a genius! And every mom would like to make sure that their kids gets the best of everything, especially when it comes to what they consume, and if your kids are looking for that special taste, it would be hard for you to give them that premium snack that keeps on popping into your head if it’s a little expensive and out of the budget. I’m glad that I was able to discover a new way to turn up their snacks. 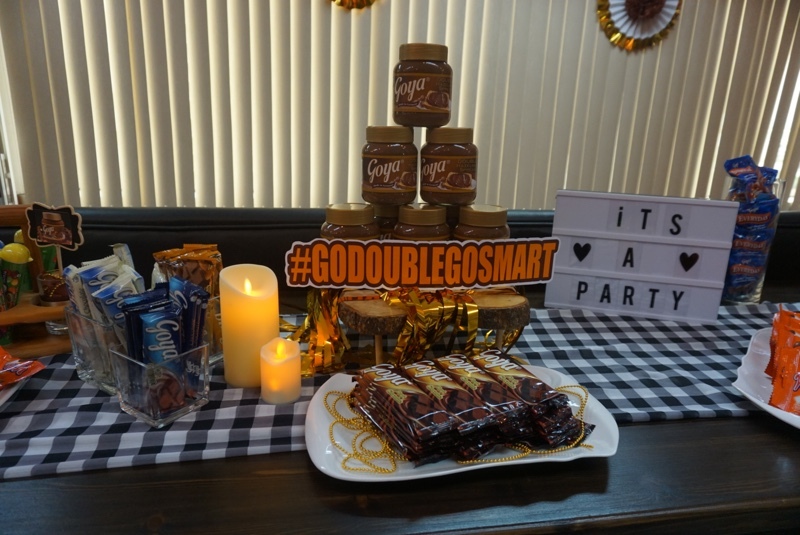 Goya has a new creation that will double your satisfaction, the new Goya Double Hazelnut Spreads. Goya is a heritage brand that journeyed since 1956 under different owners. They started recovering under Delfi Corp. with their mouthwatering delights. Today, they are known for their inexpensive german chocolate bars that recently expanded to spreads. And in today’s news, Goya Hazelnut Spread is taking everybody by storm with its upgraded chocolatey taste for a lesser price. It was made even better to give us double hazelnut goodness too, it’s silkiness and chocolatey taste will surely leave you wanting more. I think we have a competition up our sleeves, ladies and gentlemen. Goya is now available in the market with a cheaper charge and from a trusted brand. I’m glad that I was able to discover this new spread! We can all enjoy Goya Double Hazelnut Spread in many ways for only P154 SRP for a 350g, in all leading supermarkets, and enjoy the chocolatey goodness it gives us!